One of our most cherished Afternoon Tea series is Last of the Summer Wine, which holds the distinction of being the world’s longest-running sitcom. The world’s longest-running soap opera is Coronation Street and earlier this year, "Corrie," as it’s known to its regular viewers in the U.K., welcomed LOTSW’s Juliette Kaplan to its cobbled streets. In it, Kaplan played the grandmother of one of the established characters. 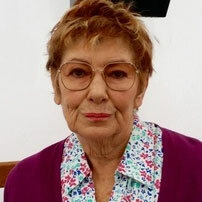 Unlike LOTSW, where she played Howard’s grouchy wife Pearl from 1985 until the conclusion of the show in 2010, Kaplan appeared in Coronation Street for just seven episodes this past January and February. The 76-year-old Kaplan is very much hoping her appearance will lead to "full-time residence." Since LOTSW was cancelled, Kaplan’s time in front of the camera has been limited. Instead she’s been concentrating on writing her biography and performing on stage. Kaplan actually got her role in LOTSW thanks to her appearing in a stage version of the show, which was seen by writer Roy Clark and director Alan Bell. Clark wrote Pearl into the TV series and the role expanded over time. Robert Fyfe (Howard) and Jean Fergusson (Marina) appeared in the same stage version and were also hired for the television show. Being a permanent cast member in a long-running popular television series meant that Kaplan could no longer run the gift shops she’d been trying to run since the death of her husband Harold of a heart attack in 1981 at just 54. The couple had met in the late 1950’s, when Kaplan had been working at the Theatre Royal in Margate. After the couple married they stayed in Margate where Harold ran a tea gardens and beach café. He then opened up a gift shop with a friend, which eventually expanded into a chain of 11 shops. So too did their family; they had three children in three years, after which, Kaplan says she "took up bridge"! Kaplan herself was an only child, at least she thought she was, until in 1995 she received a letter - forwarded to her through the actor’s union - that told her of two half-brothers and a half-sister, who had been searching for her for 35 years! They lived in South Africa, where Kaplan had moved to as a little girl with her parents. When Kaplan was three her parents divorced. Her mother brought her back to England when she was 10, and promptly uprooted her again to go and live in New York for a year. All the while Kaplan had no idea that, after the divorce, her father had re-married and had three more children. Following a huge family reunion in South Africa, Kaplan has kept in touch with her new half-siblings and they have since both visited each other several times. 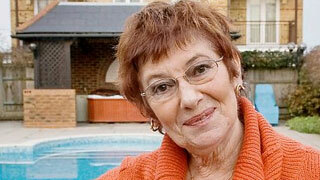 Kaplan, who divides her time between London and the seaside town of Westgate, Kent, loves to travel. Even though she tours (her one woman show, "Just Pearl" for instance) and travels for work (she gives lectures on cruise boats), the 5’ 2” Kaplan enjoys spending her free time visiting other countries and exploring their cultures and people. She also enjoys playing bridge (“badly”! ), snorkeling, gardening, “spoiling her grandchildren,” and telling her children “how to run their lives”! 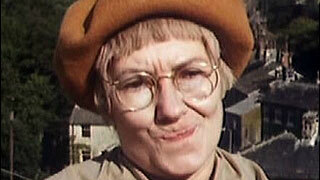 You can see Kaplan as Pearl in Last of the Summer Wine on Afternoon Tea, weekdays at 1:30pm.